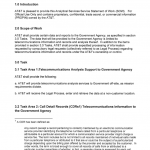 AT&T shall provide certain data and reports to the Government Agency, as specified in section 3.0 Tasks. The data that will be provided to the Government Agency is limited to telecommunications information and records and analysis thereof. 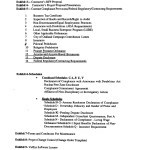 In addition to the items provided in section 3.0 Tasks, AT&T shall provide expedited processing of information requested by compulsory legal requests (collectively referred to as Legal Process) regarding telecommunications information and records under the AT&T’s ownership or control. 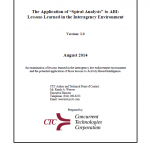 The purpose of this white paper is to provide an in-depth examination of ABI-like analytic techniques that were developed, refined and employed to successfully support multiple, high-level, but dissimilar interagency law enforcement investigations over an extended period of time. The premise of this paper is that, as the Intelligence Community developes a strategy, framework and roadmap for enterprise-wide adoption of ABI, lessons learned from the law enforcement community are worthy of examination and possible incorporation into the IC strategy for ABI. 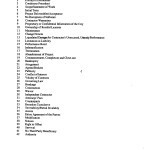 These Guidelines are provided for use by law enforcement or other government entities in the U.S. when seeking information from Apple Inc. (“Apple”) about users of Apple’s products and services, or from Apple devices. Apple will update these Guidelines as necessary. This version was released on September 29, 2015. One fact should not be lost in this discussion. As has always been the case, new methods of authenticating identity, like biometric identification, are necessary to augment existing conventions and meet current needs. 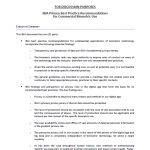 Biometric technologies do this and, as a major privacy‐enhancing technology, preserve privacy at the same time. 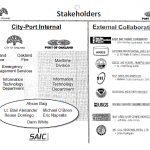 The facial template itself, like other biometric templates, provides no personal information. Indeed, protecting the non‐biometric personal information is enhanced through the use of biometric verification of identity to limit data access to only authorized persons. Biometrics can provide a unique tool to protect and enhance both identity security and privacy and to protect against fraud and identity theft, especially as a factor in identity verification. When your personal data are protected by access mechanisms that include one or more biometric factors, it becomes much more difficult for someone else to gain access to your personal data and applications because no one else has your unique biometric attributes. This enables legitimate access and reduces the risk that a person can steal your identity and, posing as you, collect benefits; board an airplane; get a job; gain access to your personal data, etc. Snapchat is a smart phone application accessed through the iPhone AppStore or Google Play. 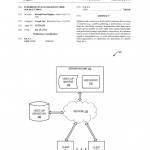 The application provides a new way to share moments with photos and videos. 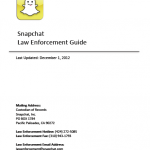 The purpose of this guide is to familiarize law enforcement agencies with the categories of information available from Snapchat and the specific le8al process necessary to obtain that information. Snapchat is committed to assisting law enforcement investigations to the fullest extent allowed by applicable law. In addition to this guide, Snapchat also provides phone and email support to law enforcement agencies for both emergency and non-emergency inquiries. 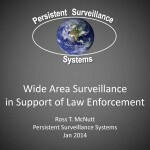 Contact information for law enforcement support is listed on the cover of this guide. 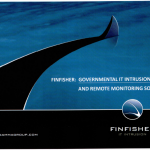 Two presentations from the Gamma Group describe the company’s FinFisher and 3G-GSM tactical interception and target location surveillance products. The presentations were anonymously posted online and are reportedly from 2011 discussions between Gamma and the German State Criminal Police Offices (Landeskriminalamts). A table describing Research in Motion/Blackberry requirements for disclosure of user data to law enforcement. 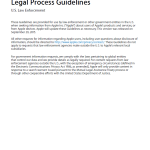 The chart shows what legal process is required to request user data, the type of data each process can typically obtain and the legal authorities authorizing each form of request. There is provided a device and system for restraining detainees through devices attached to the detainees and configured to administer electrical shocks when certain predetermined conditions occur. Restraining devices may be activated by internal control systems or by external controllers that transmit activation signals to the restraining device. External controllers may be actuated by an external controlling entity such as a detention guard or other person or system, or may be controlled by an enabling signal sent by wired or wireless connections to the controller. There is also provided a system for detainee restraint where multiple detainees may be restrained collectively or individually in a controlled environment such as a detention facility, a jail, or a detainee transport vehicle. The advent of set-top box devices and other media content access devices (“access devices”) has provided users with access to a large number and variety of media content choices. For example, a user may choose to experience a variety of broadcast television programs, pay-per-view services, video-on-demand programming, Internet services, and audio programming via a set-top box device. Such access devices have also provided service providers (e.g., television service providers) with an ability to present advertising to users. For example, designated advertisement channels may be used to deliver various advertisements to an access device for presentation to one or more users. In some examples, advertising may be targeted to a specific user or group of users of an access device. A presentation from Victoria Sheckler, Deputy General Counsel of the Recording Industry Association of America, was presented at an International Federation of the Phonographic Industry meeting in Panama in April 2012. 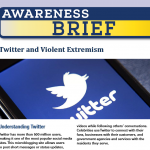 It contains information on an upcoming effort by internet service providers to police their users’ sharing of copyrighted material called the Copyright Alert System. 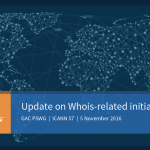 The presentation also discusses other voluntary measures such as agreements by payment processors to stop doing business with sites that are “repeat offenders” and efforts to encourage domain name registrars to enforce stricter “whois” policies. Between May 2007 and May 2010, as part of its Street View project, Google Inc. (Google or Company) collected data from Wi-Fi networks throughout the United States and around the world. The purpose of Google’s Wi-Fi data collection initiative was to capture information about Wi-Fi networks that the Company could use to help establish users’ locations and provide location-based services. But Google also collected “payload” data–the content of Internet communications–that was not needed for its location database project. This payload data included e-mail and text messages, passwords, Internet usage history, and other highly sensitive personal information.